There have been mentions of odd limits on how many apps you can install on your Palm Pre. Now there are whispers that Palm is ignoring this issue entirely. What gives, Palm? Don't want to profit from app sales? I can't recall how many built in applications there are but I have 100 applications installed on my Pre - total. Starting a week ago, I noticed I was no longer able to install applications (through either the App Catalog or by using fileCoaster). Per the recommendation offered by both the App Catalog and fileCoaster, I began deleting applications. It seems, no matter how many I delete, I am still unable to install new ones. I've reset/rebooted without any change. I am wondering - is this a permanent limitation? I can't imagine being limited like this - are there any planned work-arounds? None of the inquiries such as that one, calls to Palm for help, or complaints seemed to have an effect though. The issue persisted, became more apparent to those who started to more apps, yet Palm remained silent. Now users at PreCentral are claiming that Palm's customer support actually denies the existence of issues relating to limits of how many applications can be installed on a Pre. 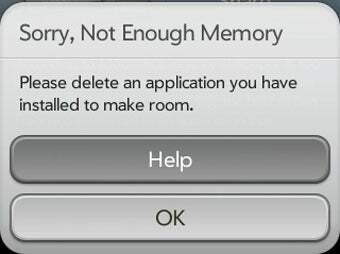 Sure, they're right about there being no limit — if you use homebrew apps. Homebrew apps aren't exactly helping Palm's App Catalog though, nor are they resulting in anything resembling profit. So why on earth are they not figuring out how to let users use apps that they buy?